Whoa ... what? A new post on DesignInsider?? I've been so busy for the past few months building a writing career that I haven't had as much time for personal writing as I would have liked. But a lot of the writing I've been doing has centered on homes and design, so I'd like to share some of it here. 1. The low-VOC paint I used in my guest bath (Sherwin-Williams Duration Home, recommended for use in bathrooms and kitchens) gave me better coverage than a similar-value (meaning similar spot on the color chip) conventional paint I used in my living room. I probably could have gotten by with one coat. 2. The zero-VOC paint I used two weeks ago to paint my son's bedroom (Olympic Premium) came from Lowe's and cost a mere $23.99 a gallon. Yes, you read that right. Even zero-VOC paint, the best of the best environmentally speaking, doesn't have to cost a fortune. Before you wave off that statement with an, "Eh, what's one time gonna hurt?" think about this. Does anybody in your house have allergies? Asthma? Are there babies or kids or pregnant women in your household? Because conventional paints can aggravate allergic or asthmatic conditions, and studies have shown that VOCs are especially harmful to fetuses and small children. Now think about this. 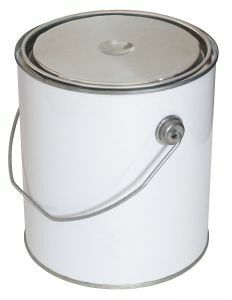 Low- or zero-VOC paints are now as readily available, as diverse performance- and color-wise and, in some cases, as inexpensive as conventional paints. Even if you're doing it "just one time," there is absolutely no reason not to go with the better, safer option. That leads me to one more point: You can do anything with low- or zero-VOC paint now that you can do with a conventional paint. There are green paints on the market for pretty much any household use. There are indoor paints, outdoor paints, one-coat coverage paints, paints with built-in primer, paints that can adhere to and cover oil-based (alkyd) paints. You name it, there's a green paint that can do it. That wasn't the case in the past, but it's the case now. I learned that from multiple paint experts, and I believe what they told me, because I've tested the products for myself. So the next time you're painting, pretty please consider going the low- or zero-VOC route. It's better for all of us. Especially you.